Over the past 30 years, Fred’s Heating and Air has expertly handled thousands of commercial heating and cooling replacement projects around the Omaha and Council Bluffs area. 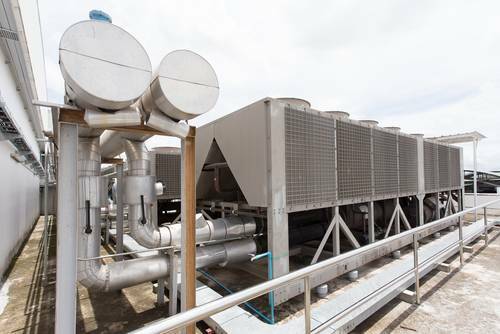 From small single heating and cooling system applications to large industrial projects, we have the experience, knowledge, and training to expertly replace all commercial heating, cooling, and ventilation equipment. Our commercial estimators have over 100 combined years of HVAC experience. Our experience, coupled with our best-in-class installation teams helps guarantee the success of your HVAC project when you trust Fred’s. Fred’s Heating and Air also has a cutting-edge metal fabrication shop equipped for handling projects of any size. If your commercial heating and cooling replacement requires retro-fit duct work for serving a varied or altered space, we’ve got you covered. The ability to handle this type of work in-house saves you money should you choose us for your next commercial HVAC replacement project. Need Your Commercial HVAC Unit Replaced? Submit an Inquiry Today!